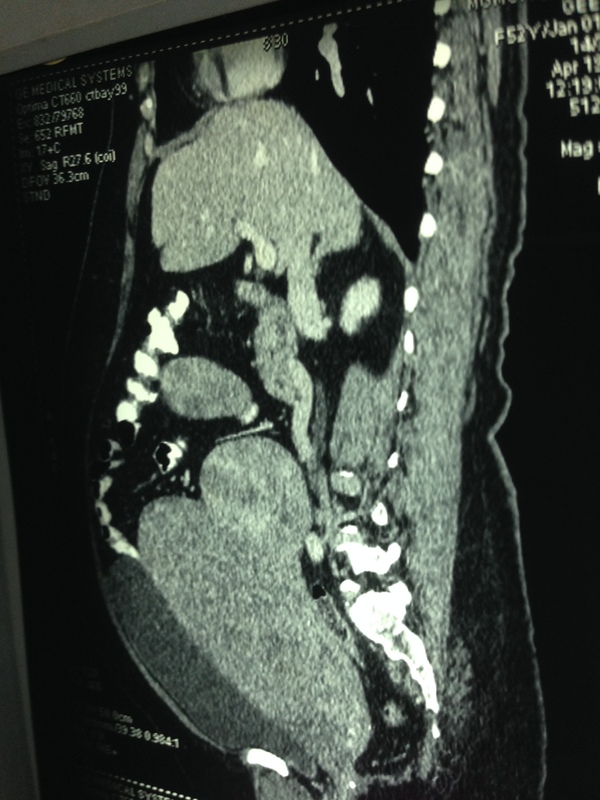 This was a 48 year old lady who was seeing me on and off for diabetes mellitus and systemic hypertension . She came to me a few months ago for uncontrolled diabetes. Her Blood sugar was around 400 mgms/dl and she was started on insulin for better control. The patient had history of irregular periods with history of menorrhagia for the last 3 cycles .She again came 2 weeks later for complaints of fever on and off. Her blood sugar had come under control . On clinical examination a mass was felt in the right hypochondrium and she went through an abdominal scan. 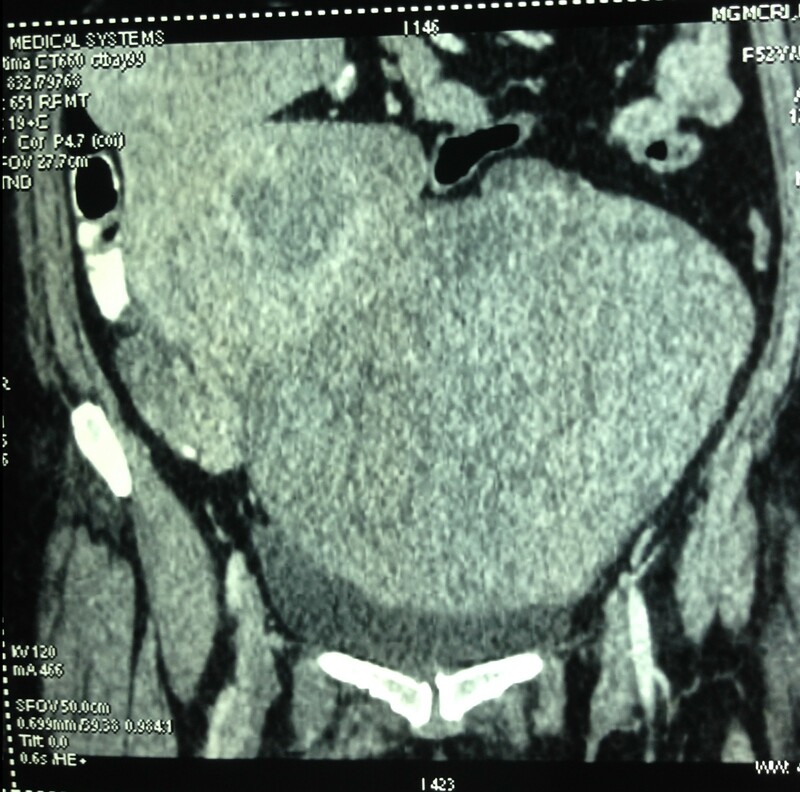 Two distinct mass lesions were seen in the right side of the abdomen in the lumbar and hypochondriac regions . 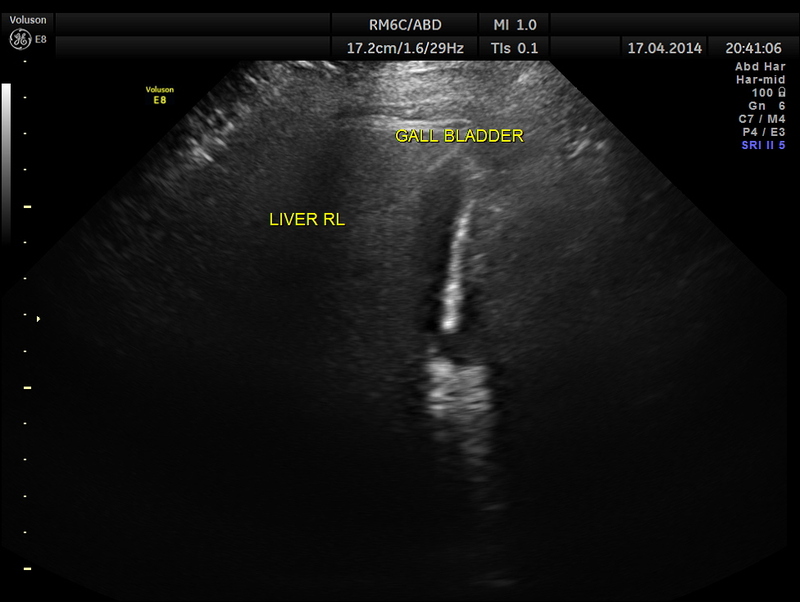 Though they appeared distinct from the liver , it was a bit confusing. The mass lesions are seen below. 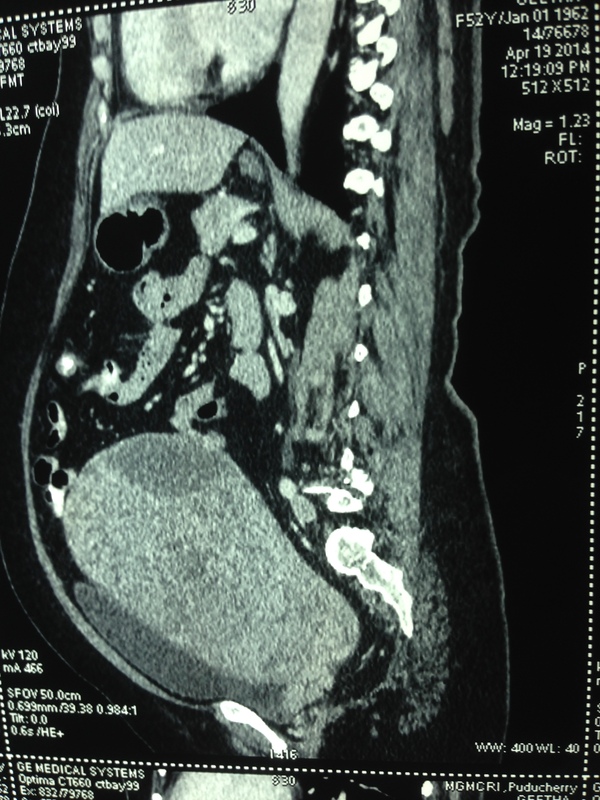 Uterus was massively enlarged and showed a large fibroid . 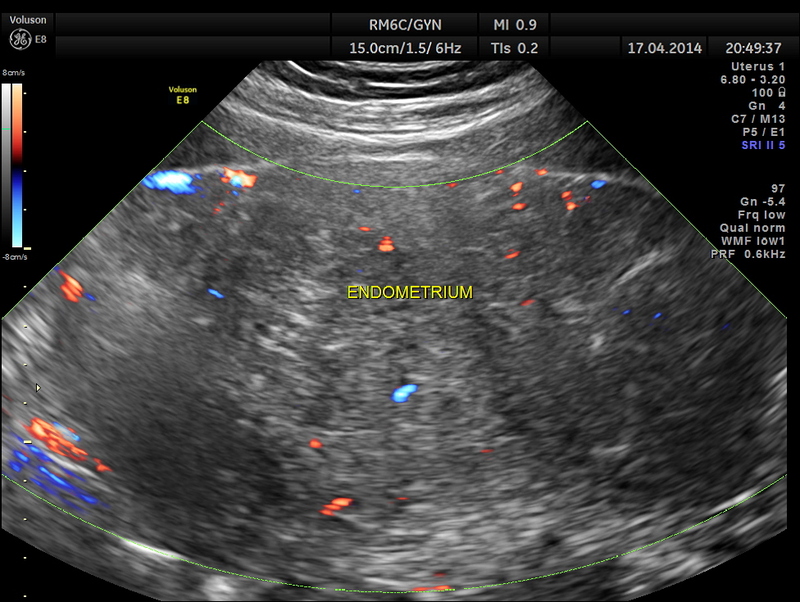 Uterine texture also showed features of adenomyosis and endometrial thickening. 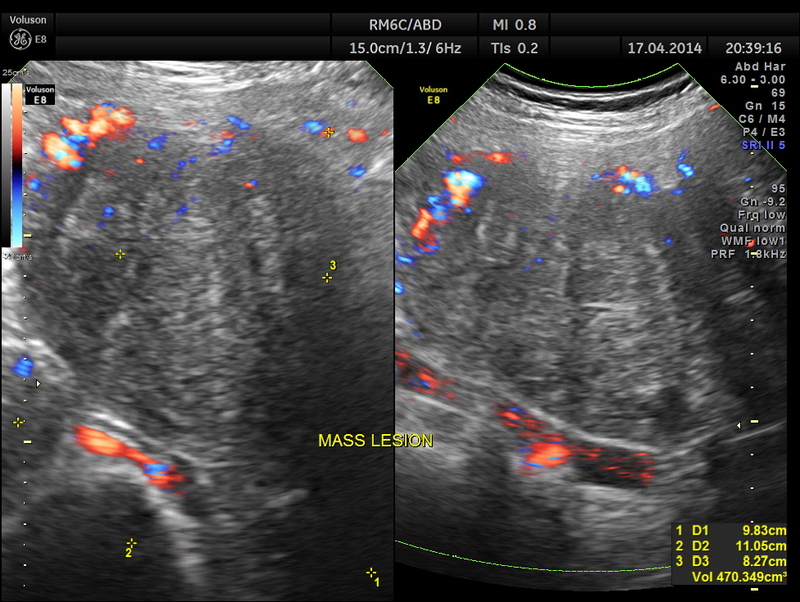 Thw two masses seen out of the uterus and mainly in the right upper quadrant are shown below. The ultrasound gave us a few inconclusive findings . 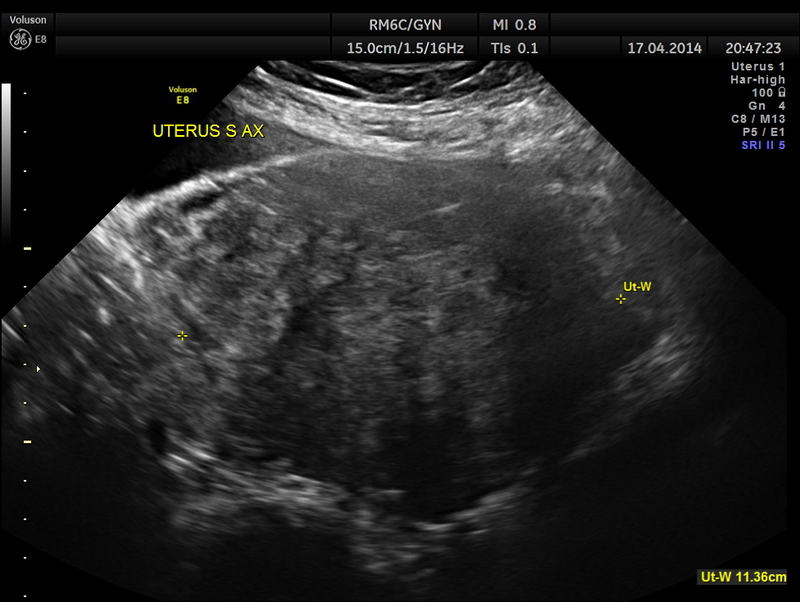 Uterus was massively enlarged ; a large fibroid was seen ; adenomyosis was seen ; endometrium was thickened ; two large mass lesions were seen in the right upper quadrant and right lumbar region . But it was difficult to ascertain the origin of these extra uterine masses . So a CT scan was done next . These pictures are reproduced here using a cell phone’s camera. 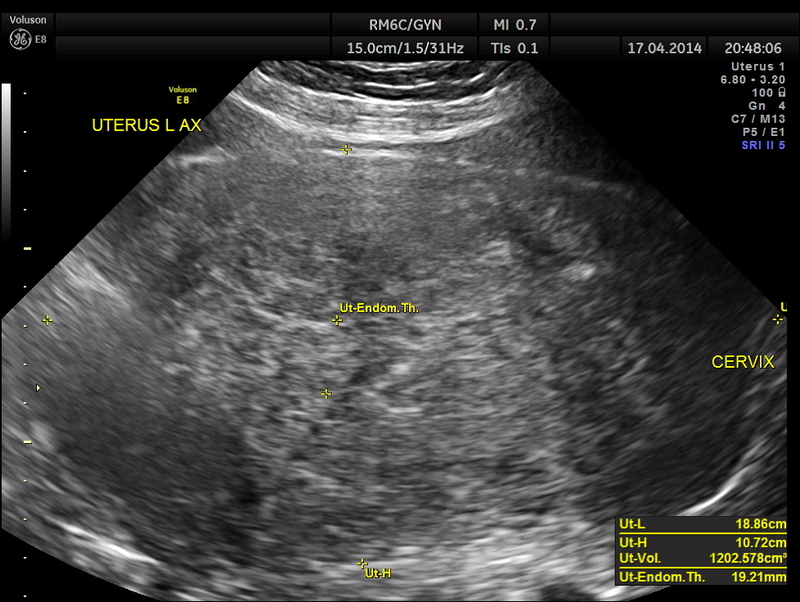 The following picture shows the enlarged uterus and large sub serous myomas extending upto the liver. 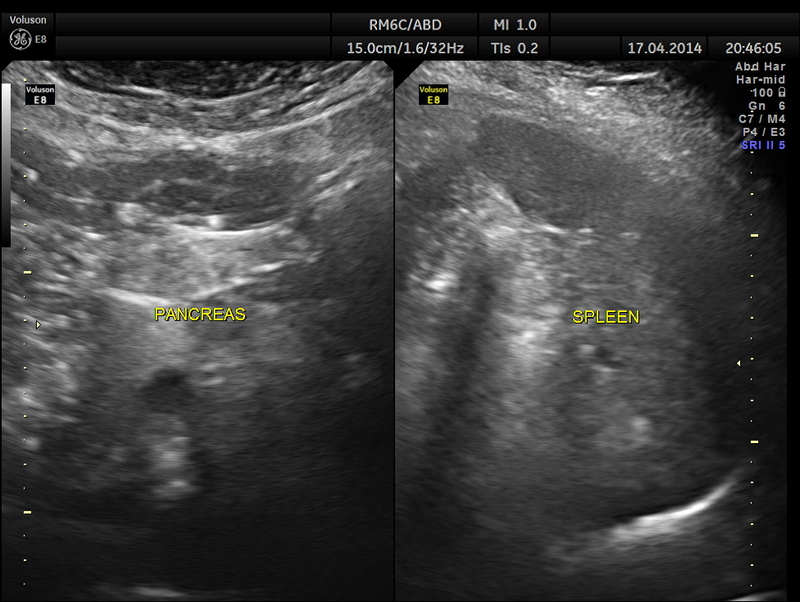 The large sub serous fibroids are seen below. 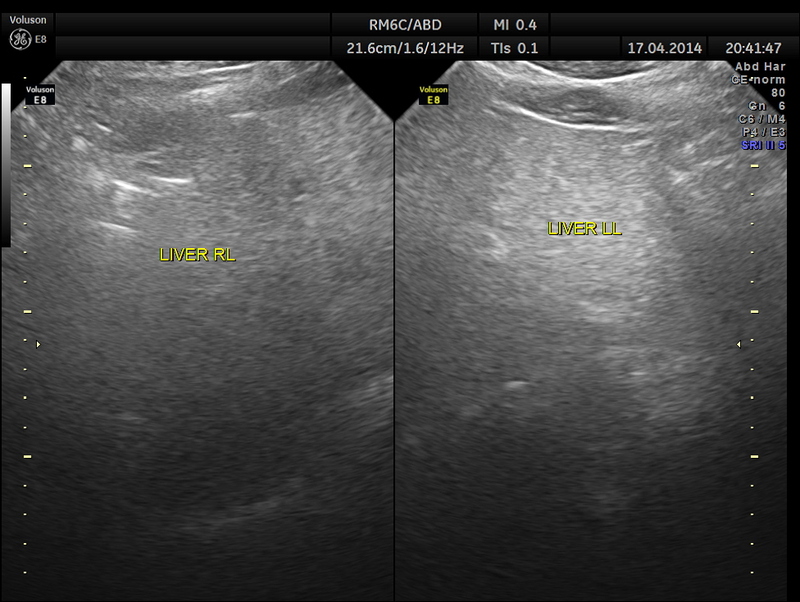 The liver is shown below. 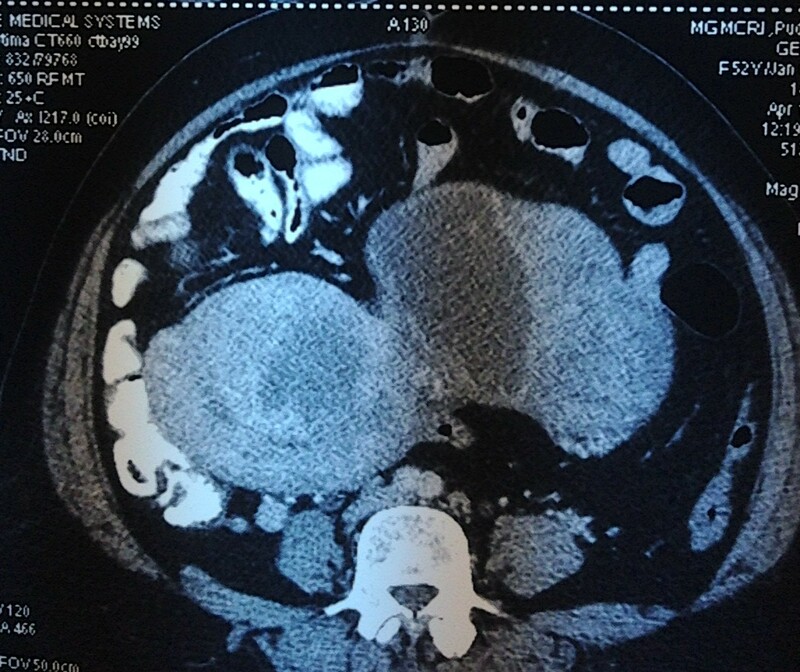 Even after the CT scan pictures , at least two surgical teams were reluctant to operate. At last she was operated in a medical college hospital . 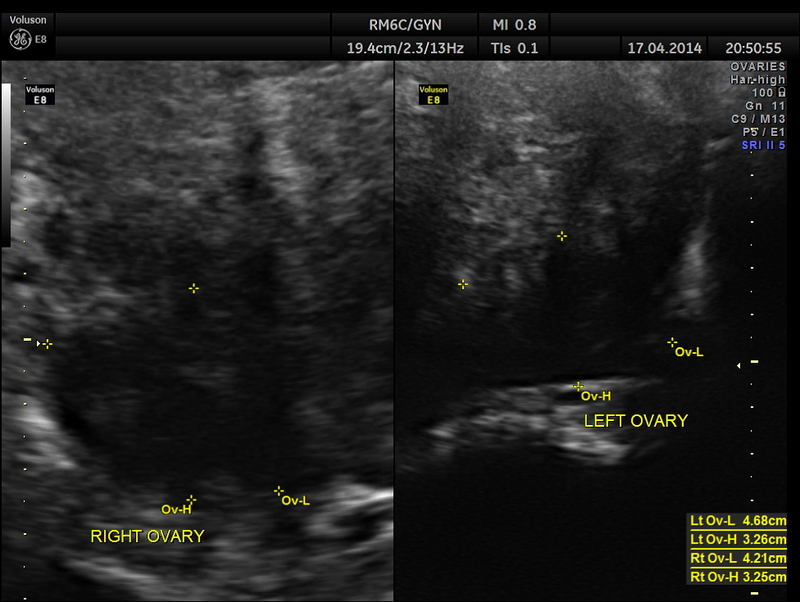 Per operative and biopsy findings were nearly the same . 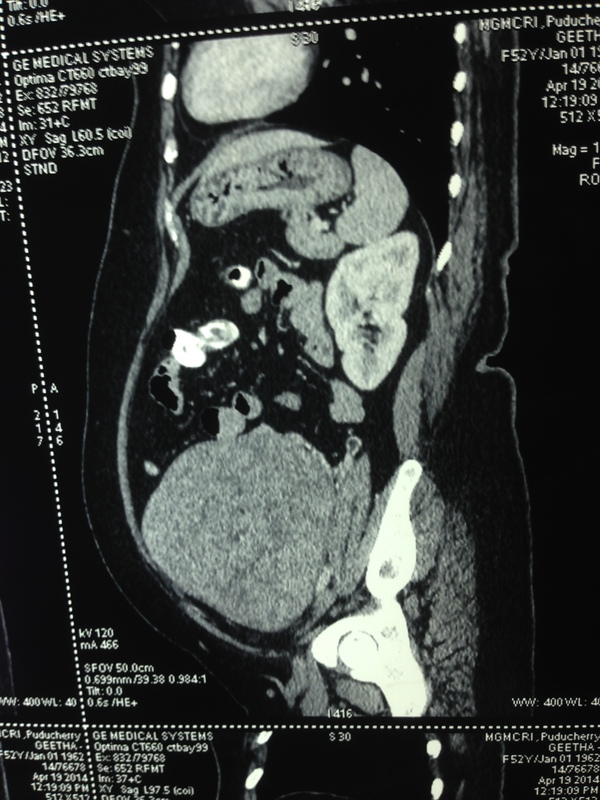 Enlarged uterus with leiomyoma with mucinous and cystic degeneration and adenomyosis and two large sub serous fibroids arising from the fundal and right lateral aspect undergoing hyalinisation. 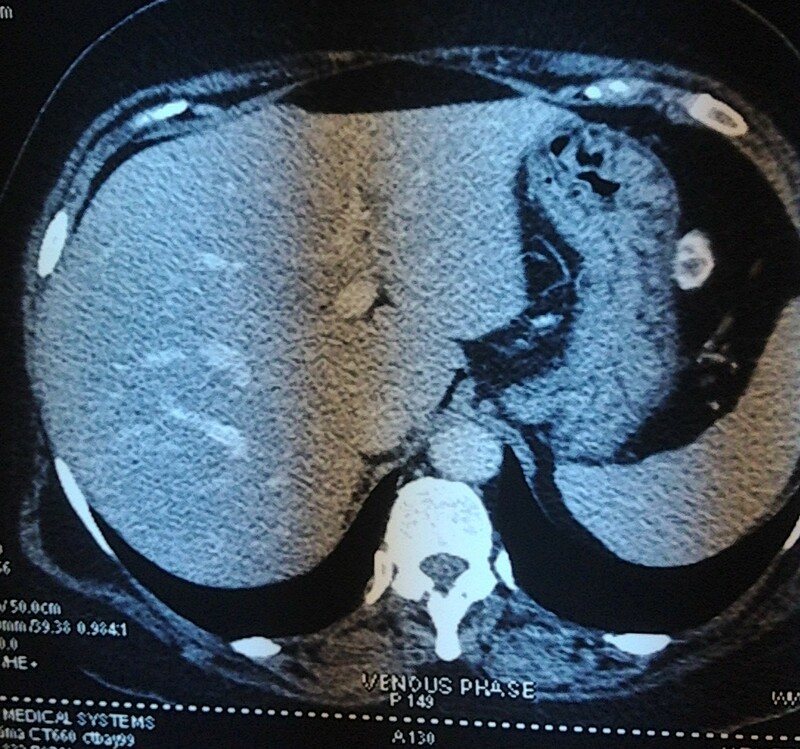 There was no evidence of any carcinoma or lymphoma. The patient is doing well post operatively. 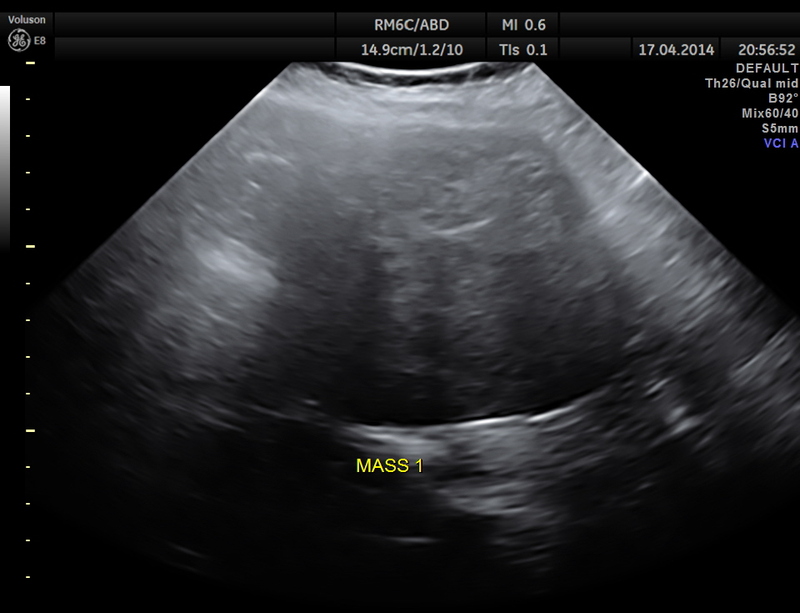 This case is presented here to stress how ultrasound can be found wanting in certain circumstances and CT scan scores over ultrasound in such conditions. 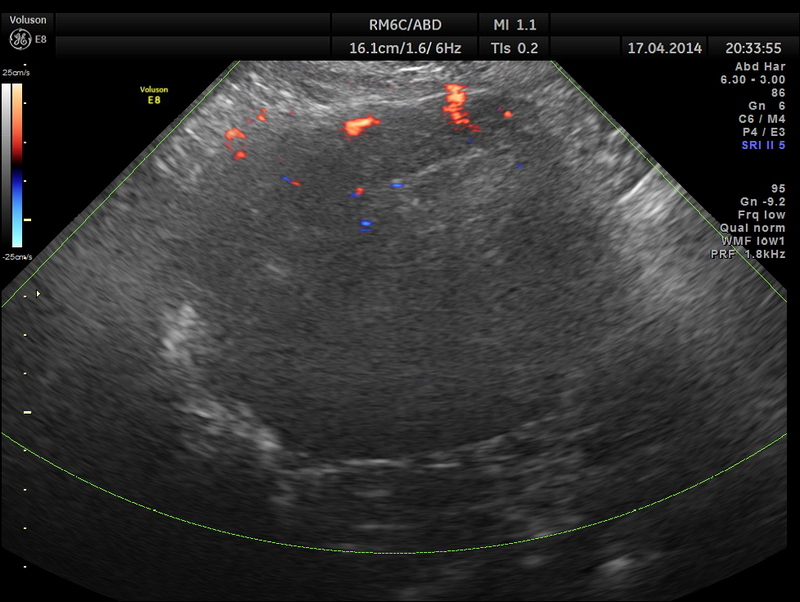 Even so, I believe that the ultrasound still is the fastest and easiest ways to conduct viewing in the patient. 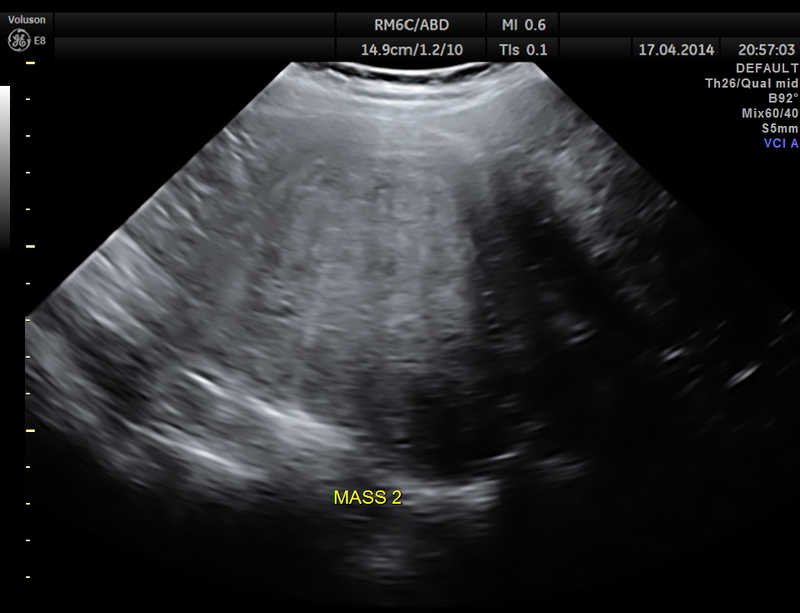 Because of the findings on the ultrasound, the large uterus mass and other massess were identified. 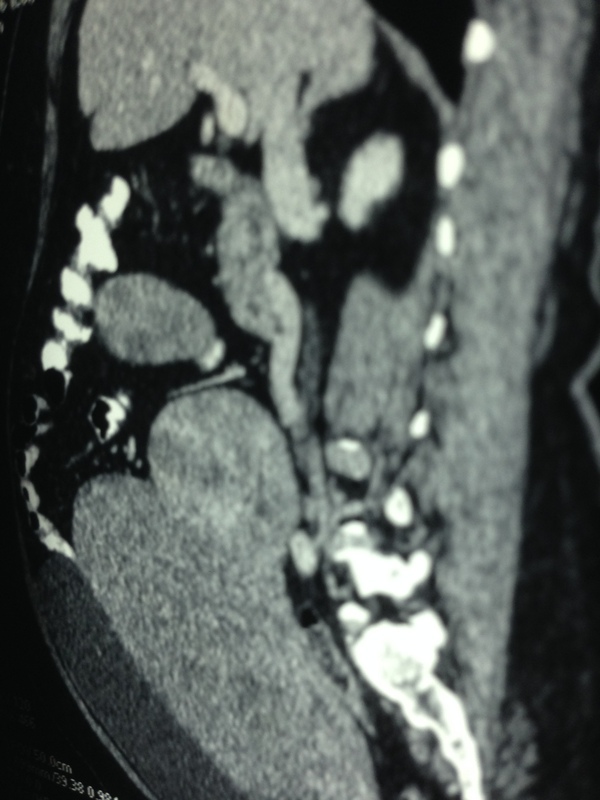 Concluding abnormality of uncommon proportion, thus requiring further imaging via CT-scan or MRI. I don’t like thinking in terms of superiority. No imaging procedure is superior to the other, yet, they have there own merits and can complement findings to the other methods. 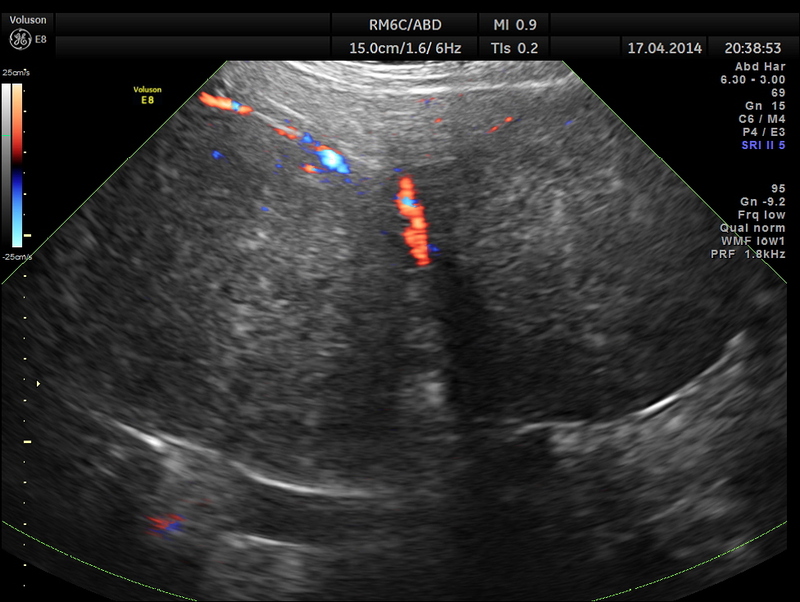 I strongly believe in the quick and affordable diagnostics with ultrasound, especially in primary care setting, where I work as a GP. Buy the way, good case and photos. Pls did u verify 4rm d surgeons if the masses were subserous or pedunculating? I agree with prior posts on this topic. 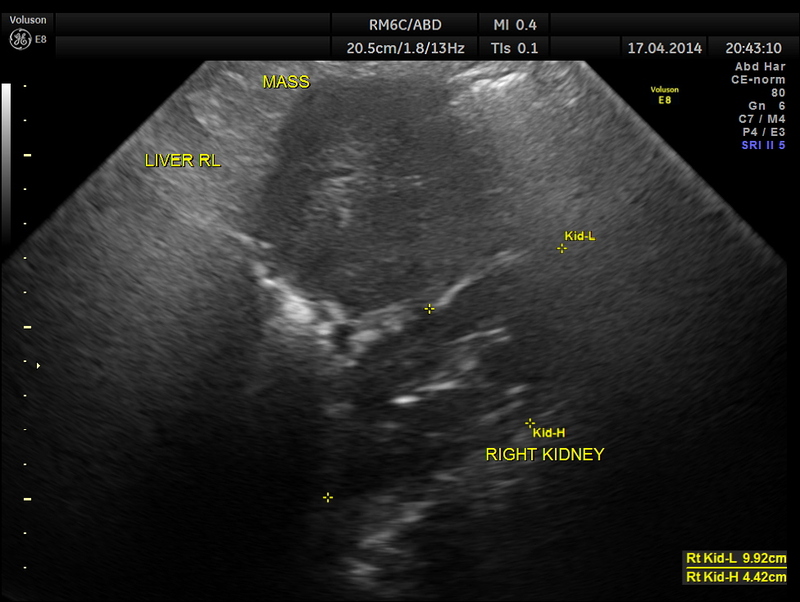 Ultrasound can be quickly performed and has lower costs than many other modalities. Though all modalities have varying benefits that help diagnose patients. 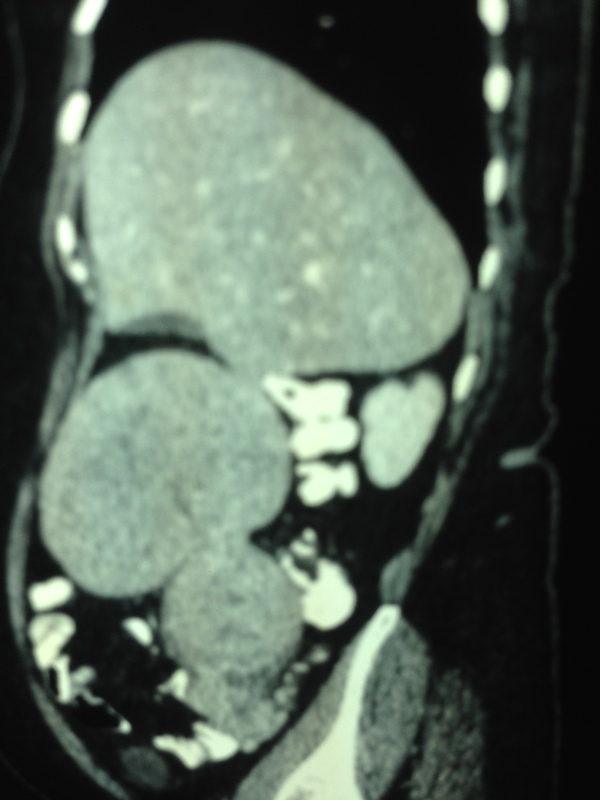 This reminds me of a case presented as pelvic mass but confirmed by US as a huge hydrops gallbladder. 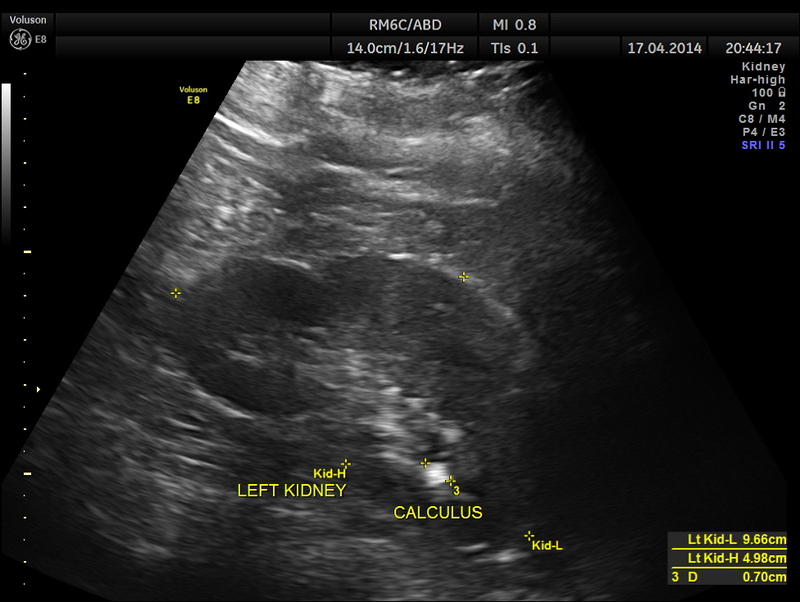 We found renal calculus in pelvic ectopic kidney presented as appendicitis.